Locked Out? Expect a Prompt Response! Any one of our customers, who has found themselves trapped outside of their house or vehicle in the middle of the night or on a rainy winter day, will tell you that the prompt response and professional service received from us made all the difference. Our emergency locksmiths in Staines will do their best to arrive at your door within 30 minutes of your call and make an unfortunate lockout accident just a slight delay in your schedule. You will be able continue your daily routine in an hour or less. A man who was in a hurry for a meeting and juggled a laptop and a mobile phone while leaving the house, eventually slammed the door, leaving the keys locked inside. A busy mum, who accidentally dropped the car keys in the boot while loading the shopping she had just bought. An elderly man who popped out to move his bins and got stuck in the porch between the front door and the porch door. Luckily a kind passerby saw him and called us for help. If you're afraid that your keys might have been stolen, you need an immediate lock change or rekey service, just give locksmith Staines a call. We provide 24 hour emergency locksmith service and can be at your door in no time, with a selection of locks and cylinders to choose from. 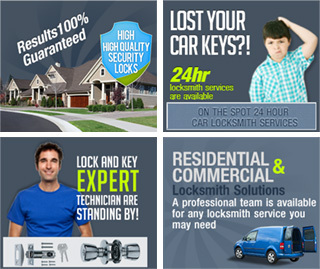 Staines locksmith work is guaranteed and fairly priced!